BUFFALO – A New York pregnancy center has become the first facility in the U.S. to offer both birthing services and abortions in the same building. The Birthing Center of Buffalo is a new health facility that opened its doors last month. According to reports, the center is the first of its kind, offering both birthing services and abortion procedures. 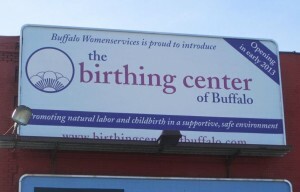 The Birthing Center of Buffalo is operated by Buffalo Womenservices—a pro-abortion agency which regularly condemns pro-life measures and organized a “40 days of prayer to keep abortion safe and legal” campaign last year. The facility now offers first and second trimester abortions up to 22 weeks gestation. Buffalo Womenservices’ web site warns clients of pro-life protesters who might attempt to change women’s minds about abortion. Dr. Katherine Morrison, the obstetrician-gynecologist who heads Buffalo Womenservices, believes abortion procedures should be offered hand-in-hand with traditional birthing services. “I see a connection between respecting a woman’s right to decide to end a pregnancy and her right to determine how she has her baby,” Morrison told local reporters. “Babies will be welcomed into life in one room and, down the hall, their lives will be snuffed out in abortions,” Steven Ertelt wrote for LifeNews. Ertelt also noted the health risks associated with abortion procedures. Stasia Zoladz Vogel, president of the Buffalo Regional Right to Life Committee, also condemned the new facility in Buffalo.